Lightweight wool: If a suit is made with a light weight merino wool it has a great ability to draw moisture away from the body and regulate your temperature. A natural product generated by over 70 million merino sheep each year in Australia, it is worn by us at varying weights throughout the year. We all sweat, and the key is to be wearing a cloth that allows you to breath. 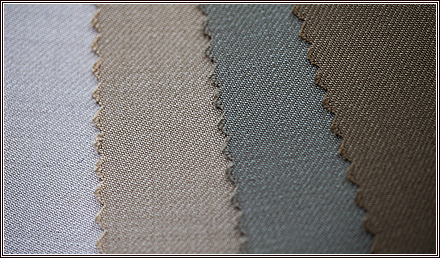 Gabardine: This saw great popularity in the 1950s particularly in the production of jackets, trousers and suits. These days a Gabardine is a great option in the light colours. Cream, fawn, khaki, or light blues and greys are popular summer colours, and being a wool it also allows for good ventilation. A quick point to make on colour: the lighter the colour you are wearing, the less it will absorb the heat from the sunlight. Cotton: Perhaps surprisingly, if you were to compare wool and cotton at the same weight – cotton will hold less of its own weight in moisture than wool will. The point being that it can takes less moisture away from the body, leading to more sweat being left on the skin and you feeling warmer. It does crease, and once it has, it can be a challenge to have it hang out. You will need to press it. It is still a great, if a little more informal, summer cloth. Linen: The godfather of creasing. It will and does, and while it will look fantastic when it is brand new and after a lot of wear, the in between stages will crease in abundance. Embrace it. It is the epitome of summer , it breaths and will will keep you cool. Aging well, out of any cloth it looks better and feels softer the older it gets. As with any cloth, the heavier linen will drape better. 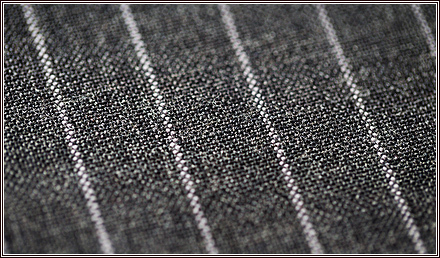 Mohair: This is a cloth that travels very well. Coming from a goat, it is durable and resilient, naturally elastic and crease resistant. The first and last of these make it a thoroughly good choice if you travel a lot and need a suit or jacket that will look good the moment you step off a plane. Fresco: This means ‘Fresh’ – which is exactly what we all want a suit to feel in the summer. The two points immediately noticeable are its coarseness and how porous it is. The multiple yarn has a high twist which allows for an open weave and highly breathable cloth. What it is not is smooth to touch, but it will keep its shape and keep you cool.